When it comes to lunch time, I want something that is healthy, something that I can prepare quickly and easily. If it is not quick and easy I tend to go for a sandwich. I love salads but after a few they can get boring. So to make them a bit more exciting I have been trying some new ways to enjoy a salad. You can expect to see some new salad recipes over the next few months! 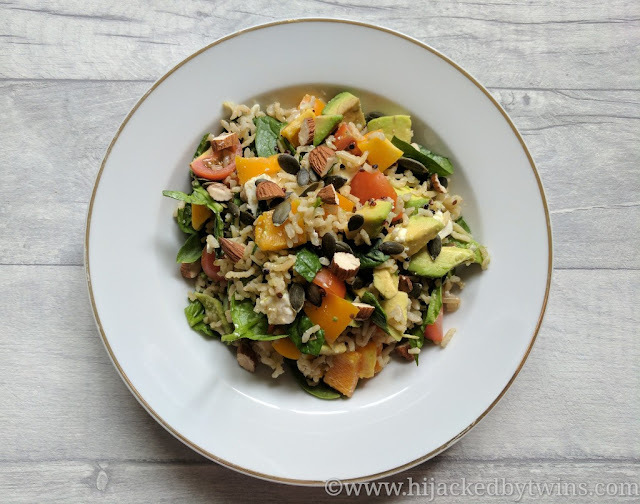 My first new salad recipe is a salad that is so full of flavours, health benefits and quick to prepare. To make it quick and easy to prepare I have used a pouch packet of Tilda brown basmati rice with quinoa, pumpkin and sunflower seeds. 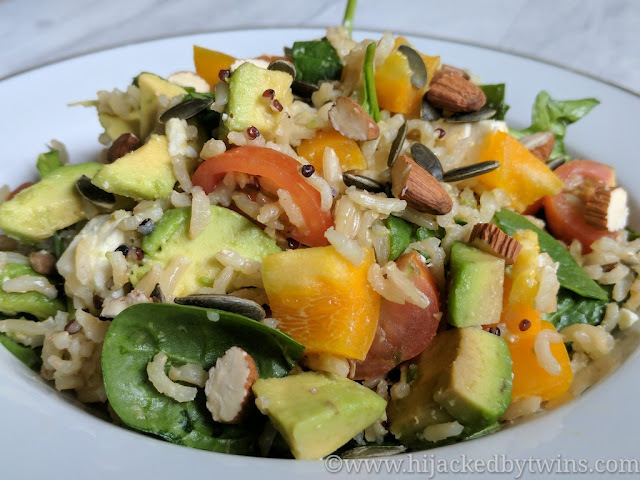 I am a huge fan of the easy rice pouches but love that this one has the added grains and seeds. When I saw it on a recent shopping trip I knew that it would make a delicious addition to a salad. 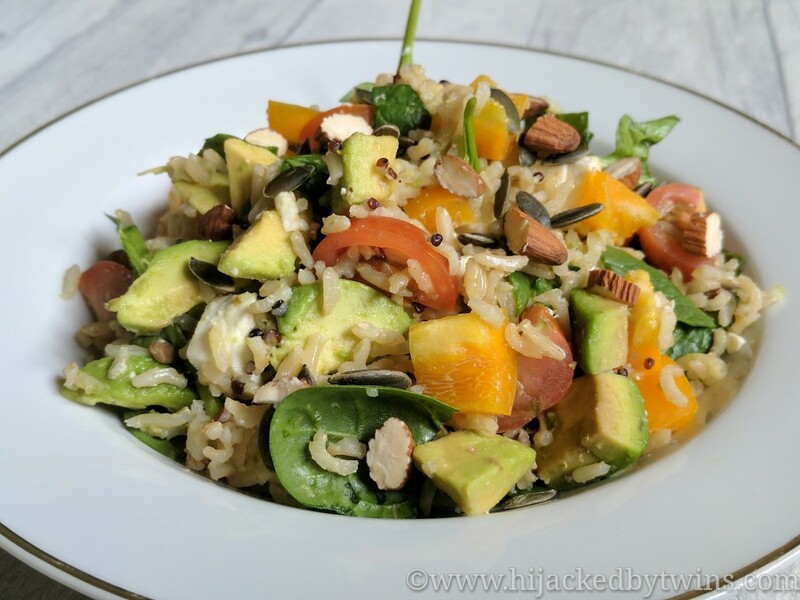 5 - Take the chopped almonds and pumpkin seeds and scatter over the top, you can add as many as you desire! Spinach - High in protein, fibre, vitamins A, C, E and K, folate, iron, magnesium, the list goes on!